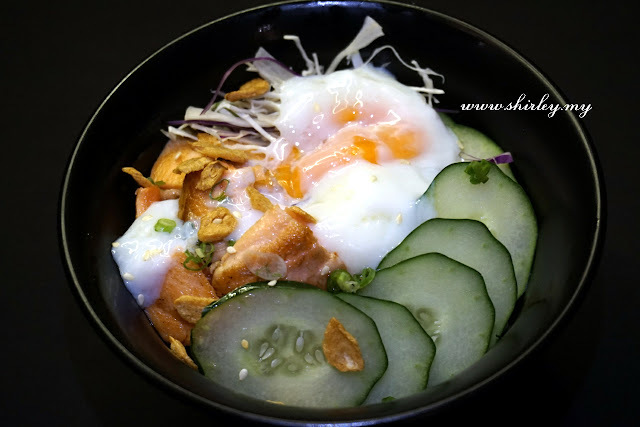 Hana Rice Bowl is a lunch set Japanese rice bowl which is launched by Hana. 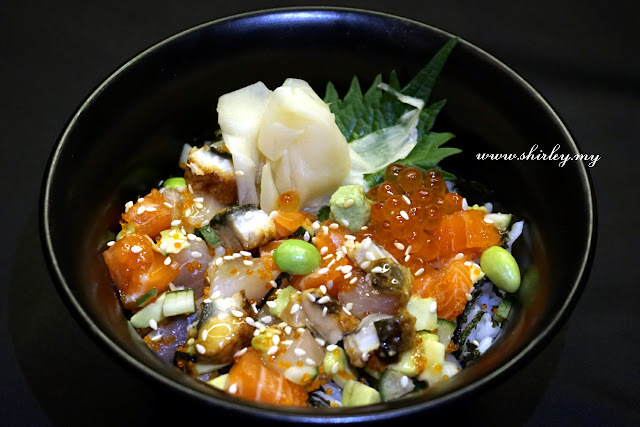 The main emphasis of the new launched lunch menu is the right amount of lunch ingredients, Hana is also more particular about the materials used. 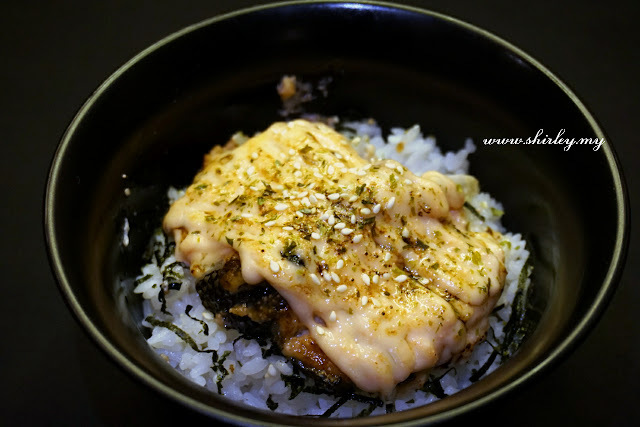 There are 7 different types of rice bowls in total, each set is given with a miso soup. The codfish is really aroma chronological when it is tasted with Mentaiko sauce. It is not easy to prepare the codfish but Hana did it very well. 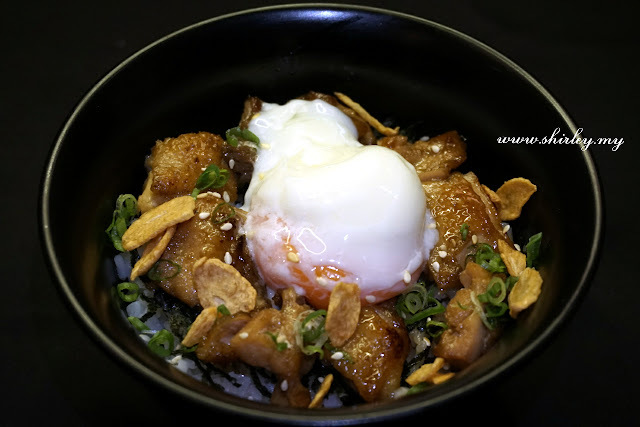 It is not a normal egg but Kampung Egg. The slices of egg are tasted perfectly with Mentaiko sauce. This is a beefsteak rice bowl set served together with half boiled egg. I'm not trying this but my another makan kaki have tried on this. She says the beef is cooked so well which could be the best among all. 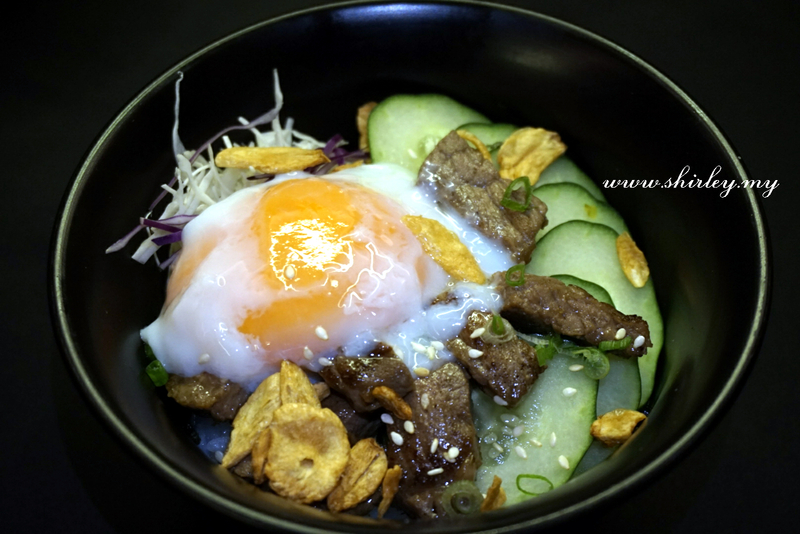 Well, if you're beef lover, come to try this out when you visit Hana. 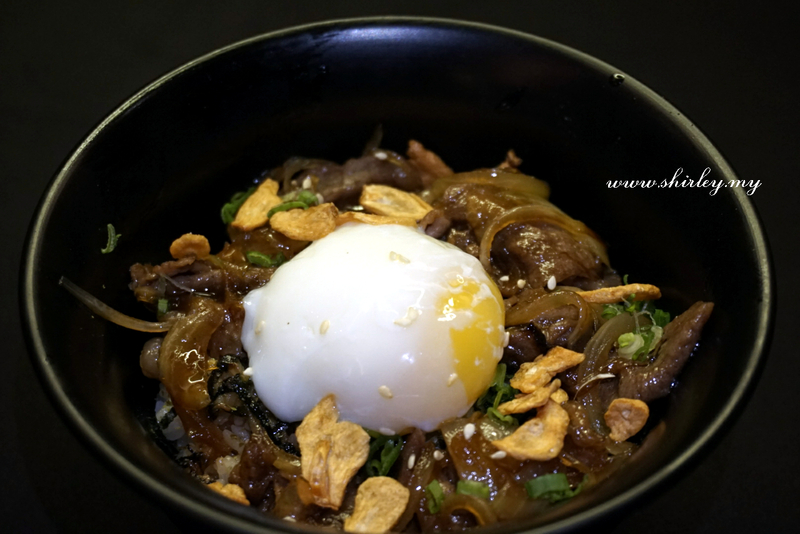 Gyudon is one of the another dish which is worthy to try it out. It is served with a half boiled egg too. 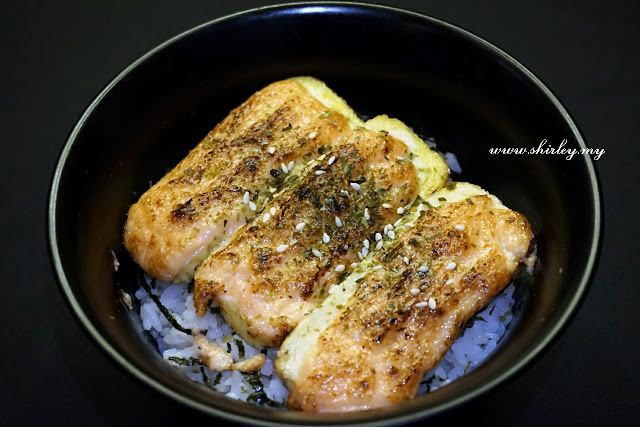 The salmon is cut into pieces like a dice. Thus, it has been named as "Salmon Dice". It is also served with a half boiled egg. Teriyaki Chicken is the most common dish in Japanese cuisine. 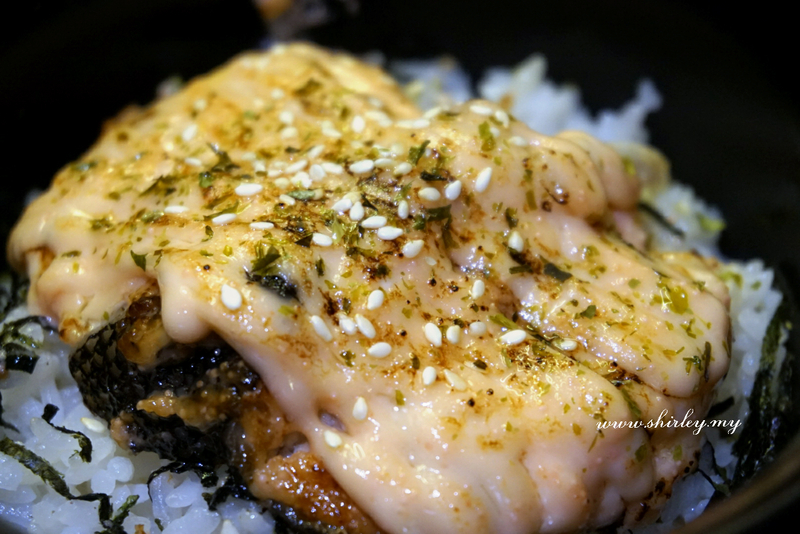 The taste of the teriyaki stays perfectly with the chicken. Bara Chirashi is another amazing dish for your selection. The texture of the dish is pretty nice. 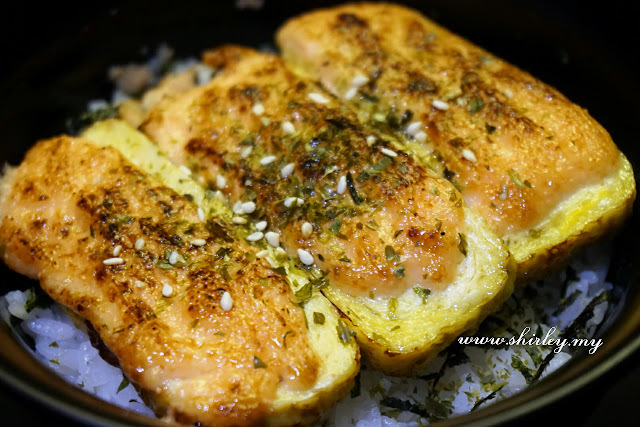 You should try this out if you love to eat salmon. 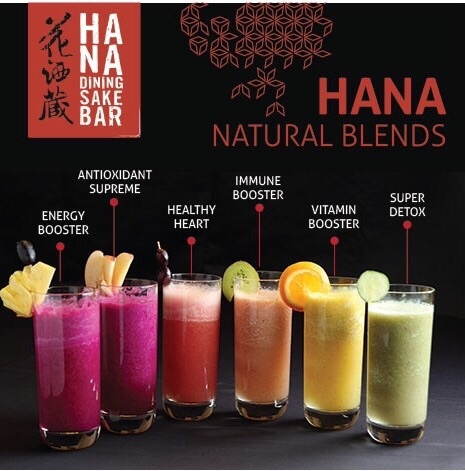 Hana Blend is series of natural blended drinks newly launched by Hana. It is mainly made without adding sugar. 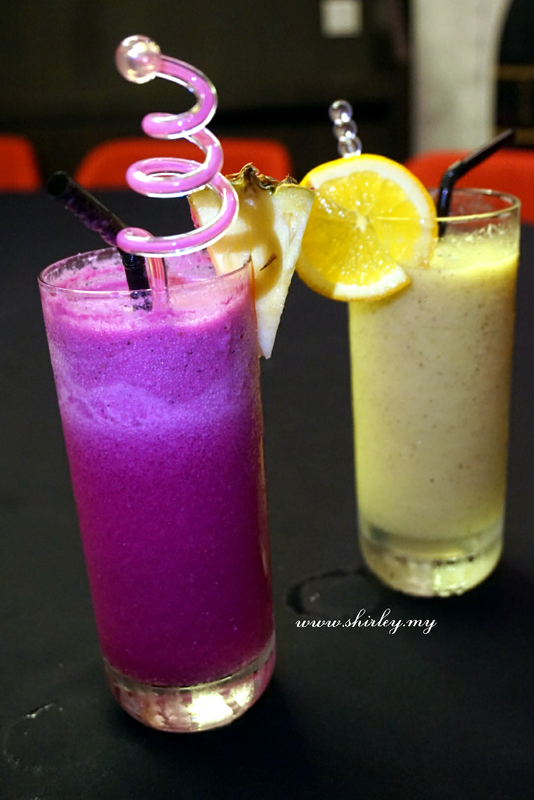 Every glass of these are mixed with different ingredients of fruits and vegetables. They might be tasteless, sour or bitter, that is normal as we always say that healthy food would never be tasty. Anyway, I have tried out their Energy Booster and Vitamin Booster. They taste very good to me. I love the Energy Booster because it has a little bit sweet taste due to the mixture of pineapple.